A McQueen suede clutch in a sandy neutral. 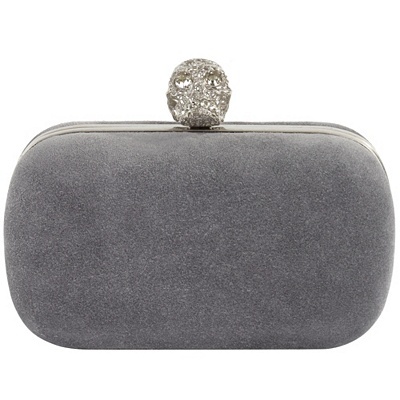 Kate has a penchant for McQueen clutches, but has the skull replaced with something more sedate. Retail: $1,895.